TUARAN: Sabah police and wildlife enforcement team have uncovered a local pangolin smuggling syndicate which has been operating for seven years in Kota Kinabalu and Tuaran districts. The syndicate was also involved in the processing of meats and skins of the fully protected animal. Two days ago, police and enforcement team from the Sabah Wildlife Department raided a factory at Jalan Sepanggar, Kota Kiabalu, and a warehouse in Kampung Bontoi, Jalan Tamparuli, here, and seized live pangolins, frozen pangolins, pangolin scales and meat worth RM8.4 million. Sabah police commissioner Datuk Omar Mammah said the joint operation was carried out following a tip-off on pangolin meat and skin processing and smuggling activities in the state capital. “We raided a factory (at Jalan Sepanggar) and found animal meat believed from pangolins which were processed and frozen inside six freezers. We also discovered several live pangolins in cages and 10 gunny sacks of pangolin scales. “We detained a local man, aged 35, who was at the factory,” Omar told reporters at a press conference here today. Also present were Sabah Wildlife director Augustine Tuuga and Kota Kinabalu police chief Assistant Commissioner Habibi Majinji. Omar said the team also inspected a Proton Persona car and found 35 live pangolins kept inside the car boot. Two gunny sacks of pangolin scales and a digital weighing device were also found. 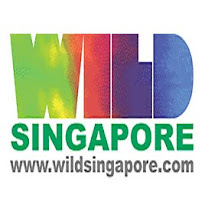 Following the first raid, he said the suspect led police and the wildlife enforcement team to a warehouse at Kampung Bontoi here, where they discovered three containers loaded with boxes containing pangolin meat. Omar said all seizures from both factory and warehouse, consist of 61 live pangolins, 361 kilogrammes of pangolin scales, and 1,860 boxes of pangolin meat, with each box weighing 15 kg. “Each kilogramme is valued at RM300. In the raids, we also seized two sun bear legs and four frozen carcasses believed to be flying fox. All seizures and arrest were taken to the Tuaran police headquarters for further action by the wildlife department,” he said. Speaking further on the syndicate, Omar said investigation revealed that the arrested man acted as manager of the factory in Sepanggar, which was believed to have started operation seven years ago. He said the man bought all the pangolins from local illegal hunters, adding that the protected animals were believed caught in the state and sent over to the factory to be processed and packed in boxes. “Investigation also revealed that all pangolins are for the local market and Sarawak. We do not rule out the possibility that these pangolins are exported to other countries,” he said, stressing investigation was ongoing to track down other individuals involved in the syndicate. Meanwhile, Tuuga said the department had not conducted an in-depth research on the population of pangolins in the state. “So far, our pangolin research is focused in the Kinabatangan district following its low population rate (in the district). They are only found in certain areas, which have become the location of poachers. “We have upgraded the status of pangolin to Schedule 1 (totally protected species) in 2016. This case is being investigated under Section 41 (1) of the Wildlife Conservation Enactment 1997 for possession of protected animals and animal products,” he said. KOTA KINABALU: The seizure of thousands of pangolins worth RM8.4 million in Sepanggar and Tamparuli recently indicates that more has to be done to protect the endangered species. World Wildlife Fund-Malaysia Sabah interim conservation head Tan Hui Shim said the crackdown by enforcement agencies was both a story of success and of failure. “Success as it puts an end to years of ruthless hunting and killing of pangolins by one syndicate,” she said in a statement issued in conjunction with World Pangolin Day tomorrow. Unfortunately, she added, it also showed that thousands of pangolins were hunted, killed and sold both locally and internationally by criminal syndicate. Tan said WWF was grateful that the agencies’ hard work had resulted in the arrest of a man linked to a syndicate that authorities believe has been operating for seven years. “Tackling wildlife crime in Sabah has been a constant challenge and it requires a long-term mechanism and committed resources. “Based on this recent capture and other cases over the years, there is a need to seriously look into setting up a wildlife crime bureau to confront organised wildlife crime in a systematic and consistent manner. “Those criminals are organised. Can the enforcement effort afford to be any less organised?” Over the years, WWF has been collaborating with the government in enforcement, including conducting joint patrols in protected areas and providing capacity training for enforcement officers on the ground. She said the organisation would continue to work closely with government agencies. “The survival of our wildlife is a shared responsibility. Illegal hunting, selling and possession of wildlife parts and other crime against wildlife are detrimental to the wellbeing of our environment.